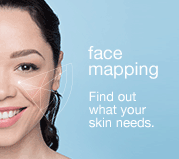 Welcome to Dermalogica! 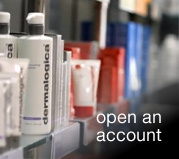 On behalf of our tribe worldwide, we are thrilled that you are considering Dermalogica as a partner for your business. Nobody knows the business of skin care like Dermalogica, and our industry experts are focused 100% on making you as successful as possible. Our extensive collection of marketing tools, generous sampling program, eventing support and marketing fund help to take the guesswork out of building your business… whether you’re new to the industry, or the owner of multiple locations. Our Business Consultants are also always there to lend a hand in helping you build a marketing program that makes sense for your business, and your goals. enough about us… let’s talk about you! We’re looking forward to chatting about what Dermalogica can do for your business, and learning a bit more about how we can help you achieve your goals. 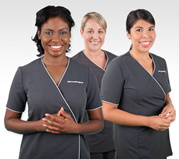 Hear from Dermalogica’s team about what makes us different by clicking the link below!